Flat Screen Television and AC! Easy and Convenient! I like the get there grab and go aspect of the late check in and how easy it was to check out. Also the cabin we stayed at was great. Fishing hut #5 is a great cabin! 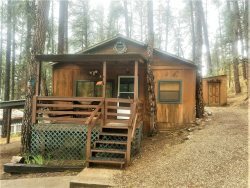 Its very well taken care of, has everything you need, looks and feels like a cabin, cozy and romantic. Great location to walk to the shops, but not hear all the traffic. Better than the pictures! Great location for walking to the shops! The bar next door is fun and inviting. Great place for romance and quality time! The cabin itself was more than we thought! Just beautiful and comfortable! The pics do not do it justice! It Had everything we needed from dishes to to amazing towels!